Recruit In-Processing Barracks, BEQ – Joseph J Henderson & Son, Inc. 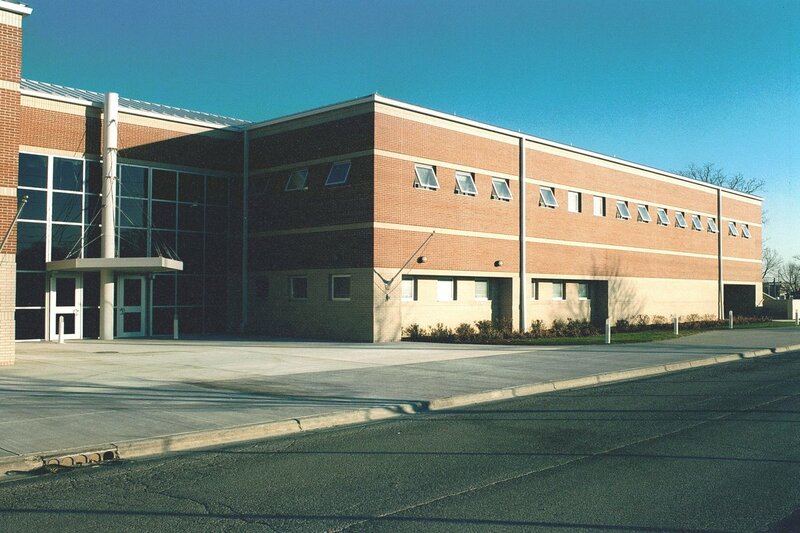 The new 68,000 S.F., U-shaped building provides temporary housing for up to 480 male and female recruits. The main entrance has a triangular canopy back-dropped by a glass curtain wall. Resembling a ship’s mast, the canopy has stainless steel guide wires and turn buckles to create the look of sails. Inside the main entrance is a six-foot terrazzo Navy seal embedded in the vestibule floor. 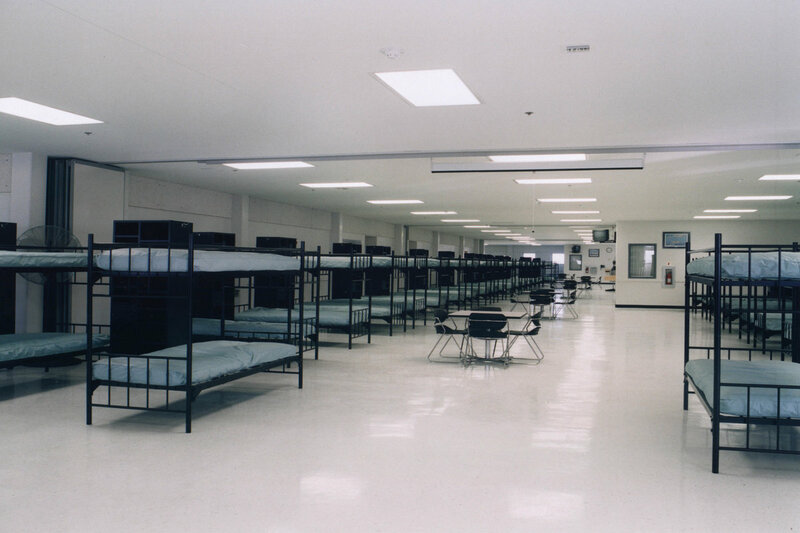 The first floor of the barracks houses female recruits, while males occupy the second floor. 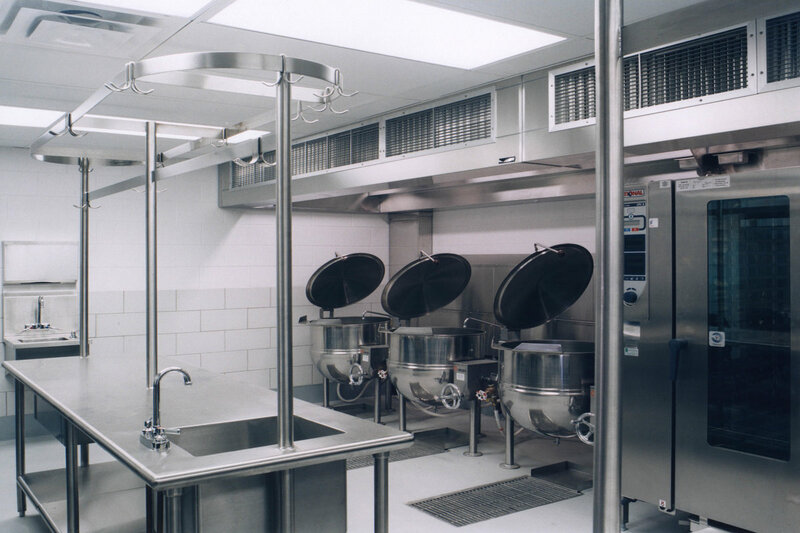 Showers, laundry rooms, gear cleaning areas, and toilet facilities are adjacent to the sleeping quarters. 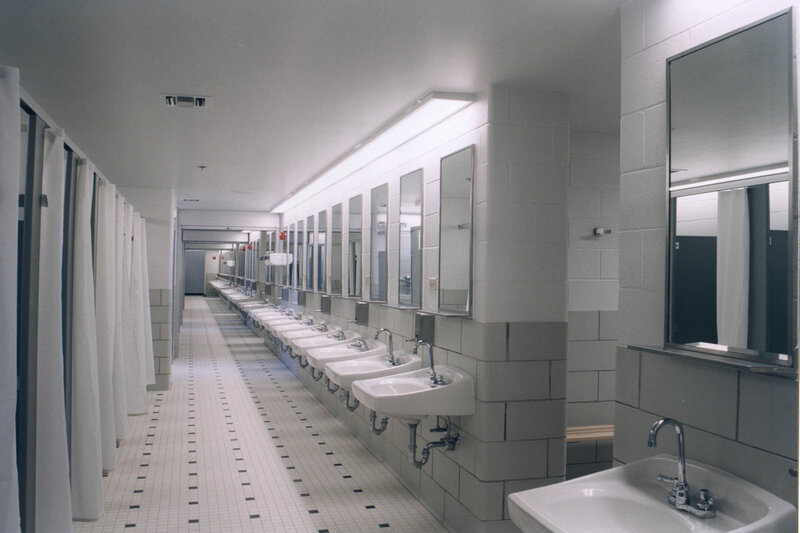 The barracks also includes a full service mess hall and associated administrative offices. 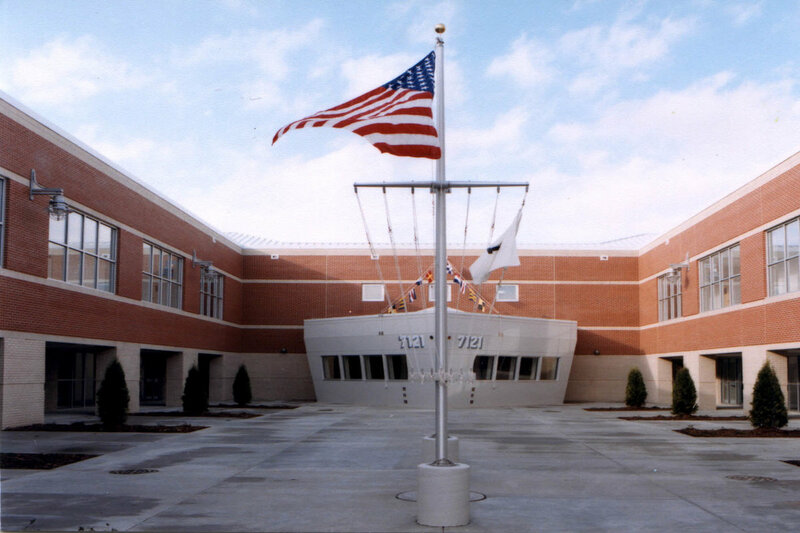 The exterior courtyard includes a recreation of a ship’s bow emerging from the building wall, and is used for recruit staging. This challenging project was completed ahead of schedule.